We highly value the science based strategies unique to the Activate Metabolics Weight Loss program used in our clinic. They are well proven having helped thousands of people succeed in their weight loss journey. Yet, what some people have a hard time grasping is that the systems and strategies ALONE are not the complete “recipe”. It’s becoming more and more evident that science and strategies must be applied in a special way - with a particular focus, energy and attitude. This is what truly allows them to be most effective. In other words, there are some “secret ingredients”. What are we referring to? To explain, let us share an example … and before we do please accept our apology in advance … This cookie example is NO doubt a risky one to use. But we think it will likely get your attention! 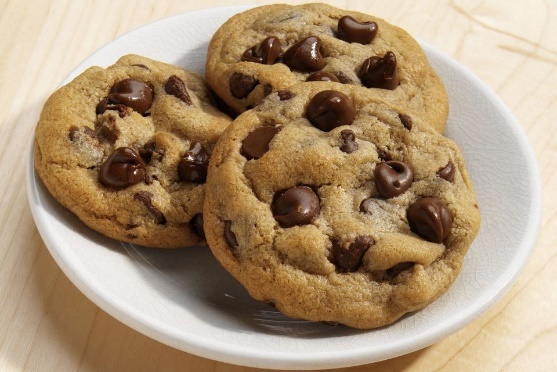 Think about this and see if you agree: It’s hard to find a chocolate chip cookie that’s not eatable. Most of them are pretty darn good! But, SOME chocolate chip cookies simply ROCK! They are “out of this world” and on a whole other level when it comes to cookies. Typically, this occurs when they have some special ingredients … or a certain blend of those ingredients. Agree? Well, weight loss journeys among people are the same way. There are “ingredients” that help take some people’s journey and success to the next level. After working with LOTS of weight loss clients and watching hundreds of others through our Activate Metabolics network, we’ve been able to identify “8 IN-gredients” that tend to be present in those who achieve the BEST (and often fastest) weight loss results. These are key ingredients. Check yourself. Study these words and ask if they are present in YOU. If not, we need to help you get them. If you have them, let’s ADD more of each of them. Be aware that they WILL create the ideal recipe for YOUR weight loss and weight management success. We call them “IN-gredients” because the first two letters of each word are “I-N”. Today, we are sharing about IN-gredient #1. Dictionary.com defines INTENTION as: An act or instance of determining mentally upon some action or result; the end or object intended; purpose or attitude toward the effect of one’s actions or conduct. 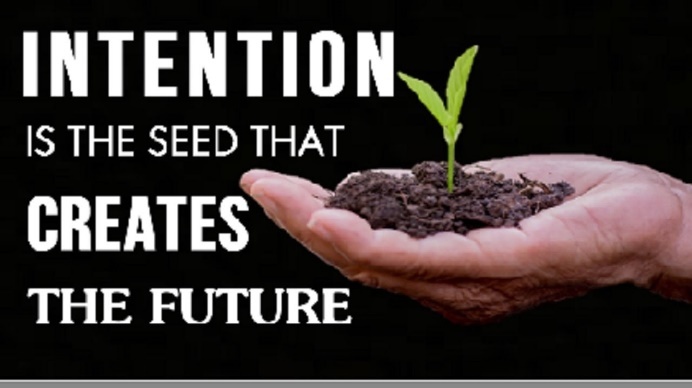 “Intention is a mental state that represents a commitment to carrying out an action or actions in the future. Intention involves mental activities such as planning and forethought”. 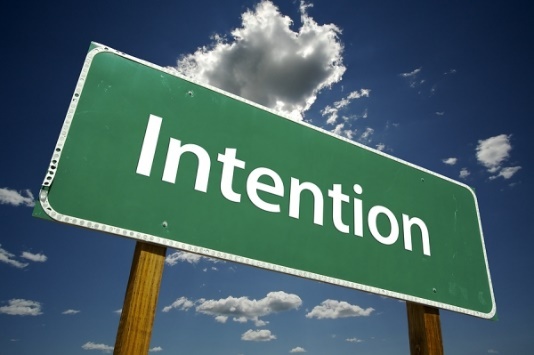 Pause and focus on some of the key words in those definitions of INTENTION. The bottom line is this: in your mind, why are you (or would you be) choosing to pursue a focused weight loss program? We often write about and ask it this way: What is your “WHY”? Instead of the word “WHY” or INTENTION, famous self-help author Napolean Hill, who is best for his book “Think and Grow Rich”, used the term “definite purpose”. Whatever word jumps out at you, grab onto this secret IN-gredient! We’ve written about this critical component previously. We’ve challenged you to dig deep and ask yourself some meaningful questions. Pause, ponder and get personal with YOU. Dig deep. Pay attention to your inner voice. Allow yourself to feel a twinge of emotion. I want to get down and wrestle with my kids. I want to be able to chase my kids around. I want to be able to go to spend a day at Disney with my family. I want to be able to fit in and ride a roller coaster. I want to be able to walk in the sand along the beach. I want to be here long term for my kids. I want to see my grandkids. I want to be an awesome, fun grandparent. I want to be able to truly enjoy retirement! I want a better marriage – but my weight and health interferes. I want to do better at my job and earn more income for my family. Get on FIRE for your weight loss and your wellness! Tune in to your intention. Tune in to your future. Tune in next week for the IN-gredient #2. And, as always, in the meantime click, call or just come in!